Engaging in sport has many benefits, and it’s not all physical. When it comes to kids, engaging in sport can help to create habits and health benefits that last long into adulthood. According to Australia’s Physical Activity and Sedentary Behaviour Guidelines children aged 5–12 years should accumulate at least 60 minutes of moderate to vigorous intensity physical activity every day. Some of this will occur at school each day, but it’s important to remember that the more physical activity kids engage in the better. Keeping active through physical activity and sport has many benefits for the body. Some of these benefits include increased cardiovascular fitness, bone health, decreased risk of obesity, improved sleep, and better coordination and balance. Reducing the amount of time spent in sedentary activities such as watching TV or playing computer games is also recommended and can be just as important as increasing physical activity. Setting time limits for your kids when it comes to sedentary activities can help with this. Engaging in sport is important for more than just physical fitness. Playing sport often means being part of a team and this allows for building skills in a whole range of areas. As well as learning all of the techniques involved in the sport, children can also develop their life skills. Playing team sports encourages cooperation and sharing, resilience, goal setting and building relationships. Learning to lose is also an important skill that’s often uncovered through playing sport. 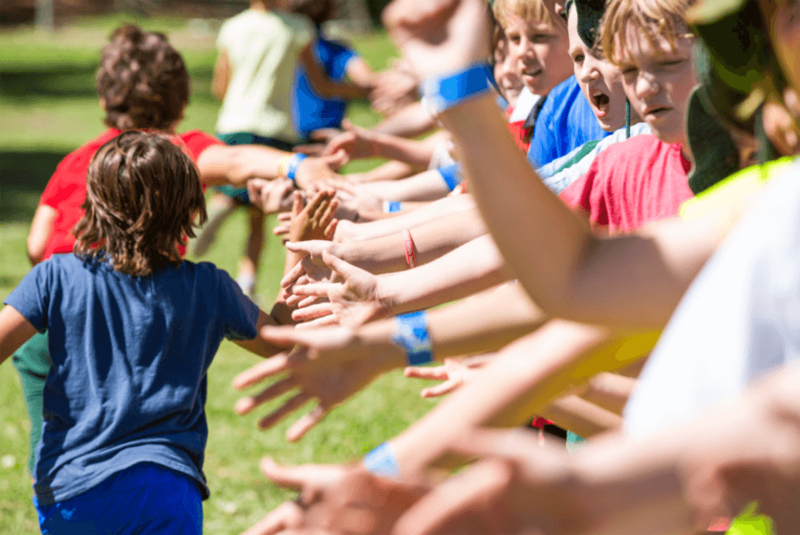 Parents can encourage their kids to play sport in many ways, including through role modelling. It’s not just parents and carers that are role models for children though. Kids often look to teachers, sports coaches and before and after school care employees to be inspired and encouraged when it comes to sport. Keeping active is a skill for life. Active kids are more likely to become active adults so encourage your kids to get involved in physical activity and sport from a young age and ensure you’re being a role model when it comes to sport. Kids can find their sporting team through their local school, sports centre, holiday program or before and after school care service. Trying out a range of different sports can help your child find one that suits them. Make sure your child has plenty of opportunity to try activities out before settling on one. Sport has many benefits for kids. It improves physical fitness, teaches important life skills and increases the chances they will become active adults. Be a role model and encourage your children to get active as much as possible.